This extension performs multiple replaces in your files. 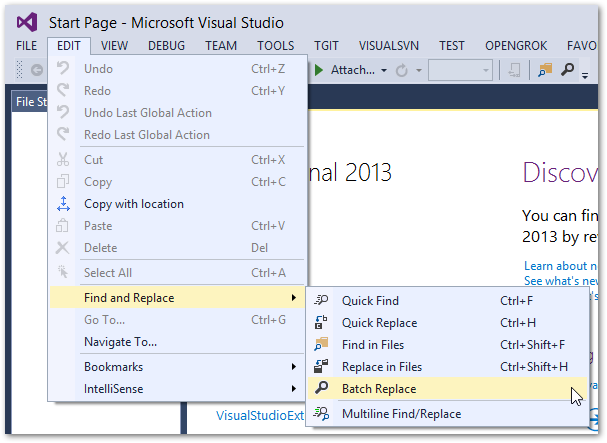 It is a user-friendly wrapper on standard Visual Studio replacement mechanism. You can input all the string you want to replace and all the corresponding replacements at once with no need to launch find and replace dialog several times. For example, BatchReplace can perform 2 replaces at once: Item to ITEM and Project to PROJECT in your solution. 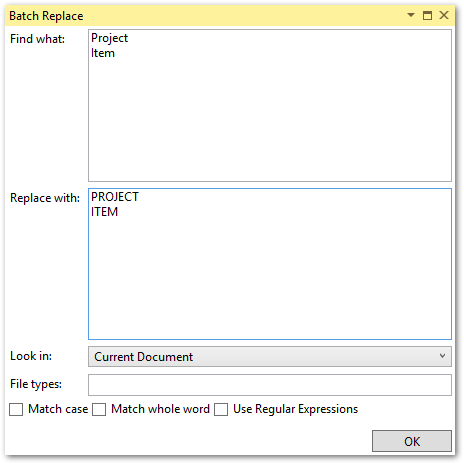 To open BatchReplace use menu Edit -> Find and Replace -> Batch Replace. In the opened window insert several strings you want to replace and the corresponding replacements. You can load source code or contribute at https://bitbucket.org/ishatalkin/visual-studio-extensions.